STANDING UP TO CULTURAL GENOCIDE!!!!!!! | AMERICAPHILE RESURGENT!!! 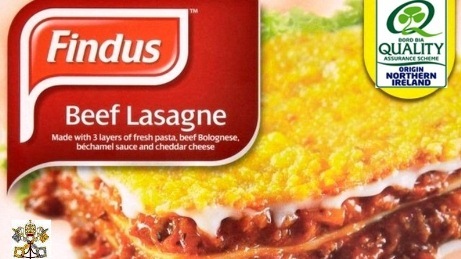 ← VATICAN SHAKE-UP & ULSTÈR SCOTS LASAGNE!!!! STANDING UP TO CULTURAL GENOCIDE!!!!!!! 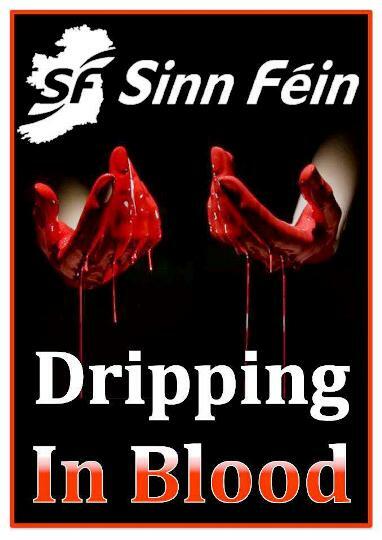 THE ULSTÈR SPRING THAT HAS STARTED IN BELFAST IS SPREADING ACROSS BRITISH ULSTÈR TO LONDONDERRY!!!!!!! Around 30 [PEACEFUL] protesters gathered for approximately an hour this morning (Friday) on Spencer Road, outside the offices of Sinn Fein[/IRA] MEP Martina Anderson. The demonstration took the form of a white line picket after plans to gather on the footpath outside the political party’s office were thwarted by the PSNI and [PEACEFUL] protesters were moved onto the road. Demonstrators carried placards stating: ‘Tell The Truth About PIRA Genocide’, ‘End Sinn Fein Impunity Now’, whilst other posters carried a highly graphic image of a pair of hands coated red and stating ‘Sinn Fein hands – Dripping in Blood.’ One protester carried a lone Union flag for the duration of the protest, whilst another had the Union flag draped around him. THESE BRAVE MEN AND WOMEN OF BRITISH ULSTÈR ARE A GREAT INSPIRATION TO ALL OF US WHO LOVE FREEDOM, ESPECIALLY KNOWING THAT THEY RUN THE RISK OF BEING UNJUSTLY ARRESTED AND SENT OFF TO THE LASAGNE FACTORIES!!!!!! WE MIGHT ASK, WHEN BORD BIA [BWAHAHAHAH!!!!!] APPROVES SOME ITEM FOR HUMAN CONSUMPTION, DO THEY REALLY MEAN TO APPROVE THE CONSUMPTION OF HUMANS, ESPECIALLY ULSTÈR SCOTS?!?!?!!? WE WHO STILL ENJOY SOME RESIDUAL FREEDOM IN AMERICA NEED TO FOLLOW THEIR COURAGEOUS EXAMPLE, ESPECIALLY IN THE FACE OF NEXT MONTH’S TERRORIST VICTORY MARCHES THAT WILL MAR OUR BEAUTIFUL LAND!!!! TEA PARTY PATRIOTS MUST RISE TO THE OCCASION AND LINE THE TERROR MARCH ROUTES IN PEACEFUL PROTESTS WITH CHALLENGING PLACARDS, THE STARS & STRIPES AND INFORMATIVE TRACTS!!!!! LET’S TAKE OUR COUNTRY BACK!!!!! !